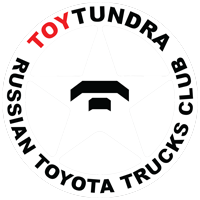 Экспедиция “From Russia” на Toyota Tundra Devolro "10000 верст"
Удобно размещается в автомобиле, как внутри так и снаружи на багажнике, рейлингах. Входящие звонки отключены, писать СМС и в сообщениях на сайте. Toyota Tundra Crue Max Platinum Edition. По РФ почти не ездил, весь пробег по США. Автомобиль в Состоянии нового (В ДТП не участвовал, вложений абсолютно никаких не требует). Действительно достойный автомобиль, берите - не пожалеете! Возможен обмен на авто представительского класса(но не старше 13 года и с вашей доплатой), спец технику или по предложению. Дополнительные фотографии при желании отправлю на эл. почту. 1. При поездках по России бывали ли проблемы с ментами касательно силового обвеса, лифта, больших колес и прочих тюнинговых деталей? Если да, то насколько сложно решался вопрос? 2. При поездках в европу на границе или позже были ли проблемы связанные с вышеуказанным тюнингом а так же не вызывали ли вопросы увеличенный бак и 2 баллона с газом под брюхом? • kickinkampers.com - классика. но как то без огонька. • lancecamper.com - C 40% рынка Северной Америки, Lance по праву считается 'America's favorite campers', много допов. • livinlite.com - Quicksilver это просто чудо. Кемпер в походном режиме просто складывается в кузов. СОВСЕМ. Однозначный must have для тех кто любит 12,5 на сотню. • outfittermfg.com - классика, модели Apex, Juno и Caribou, Pop-Up. И внимание! Откидывающаяся на улицу кровать из заднего борта! • xpcamper.com - pop-up бессмысленный и беспощадный. Есть сомнения что вообще подойдет на Toyota Tundra - а вот модули у них вместо кузова, очень даже ничего! • atlas-diffusion.com - Cандвич-панель и каркас. Проверенное временем решение в общем то. K-HUTTE, OPTIMA, Dakar / Dakar +, Truck-bane, Basic и Hard Top ATAR. Не гнушаются фанерой. • psi-azalai.com - L'Azalai manufacture expedition vehicles (l'Azalai tout terrain) as well as a slightly less rugged demountable range (Lababouch' tout chemin). • camper-track.com - Camper Track import the Northstar range of campers from the U.S. into France but also manufacture their own expedition vehicles including one demountable, the 'Kyoga'. It has an interesting, and as far as I know unique, double elevating roof. • caplander.com - English language version of the Cap Lander website. Cap Lander's three-model range of demountables is aimed primarily at LandRover owners but, according to the site, they will produce campers for other vehicles. Although the Cap Lander units are demountable they do not have an integral jacking system and don't look as though they could be used when off the vehicle. • clemensonamenagement.com - Clémenson build demountables (the Explo range) and other motorcaravans to order, and have been doing so for a long time. English language site available. • gazell.fr - manufacturer B.B.F. produces two demountable campers in the 'Gazell' range, one for double-cab and one for extended-cab pickups. Both very neat and compact clam-tops, they are fully constructed in GRP and clearly have an eye on the off-road adventure market. • globecamper.com - Globe Camper (not to be confused with the German van converter Globecar) produces a standard range of four, light-weight, demountable "off-road cabins" varying in size from the 'Version XS' to the 'Version Familly' (sic). Intended for serious off-road use, they are all made for Landrovers and other pickups that have undergone a flat-bed conversion. • log-concept.com - curiously-named Log-Concept is a manufacturer specialising in aluminium fabrication. Their demountable 'Cube' is, by their own description, half tent / half camper. Now in its third version, 'Cube Evo3', it is very innovative and lightweight if somewhat austere. • nomadevasion.com - No Mad Evasion make three standard models and also build custom orders. English language site available. • rbmobile.fr - LogeMobile is back (see 'polycomposit.com' on the where are they now? page) but isn't called LogeMobile any more and isn't made by Polycomposit. Despite that, RB Mobile's models go by exactly the same names as the LogeMobile originals, i.e. 'Mangue' and 'Dynamis', and appear to be identical to them. A welcome return! • rrcab.com - RRConcept makes a pop-top demountable (the 'RRCab') that fits into the austere but durable end of the market. It appears to be available to fit virtually all current pickups including the Landrover 130. • batari.de - Harald Batari make a range of campers, to order, including demountables. Click on 'Wohnkabinen' to see examples. • bimobil.com - Bimobil produce a range of demountable units on a unique 'quick-mounting' system. English language site available. • cruiser-connection.com - Cruiser-Connection is a specialist supplier of Toyota Landcruiser off-road spares and parts and also the manufacturer of two Landcruiser-based expedition campers one of which, the 'Upuaut 1', is a clam-shell demountable. English language site available. • fehlner-freiheitsmobile.de - Fehlner Freiheits-Mobile is a coach-builder producing one-off vehicles of many sorts including motorhomes, race support vehicles, etc. They appear to have built at least one demountable camper - if you click on 'Fahrzeuge' you can see a photo of it - but presumably are willing to build more. • das-fernweh-mobil.de - Das Fernweh-Mobil, manufactured by Cramer Technik, is an angular, pop-top demountable which the manufacturer claims is suitable for all pickups and expeditions. It appears to have a peculiarly over-engineered mounting/demounting system which you certainly couldn't carry with you. • exkab.de - Exkab (Expedition Kabine) builds (to order only) demountable pop-top campers that it claims fill the gap between the austerity of a fully-fledged expedition vehicle and the comfort of a 'cab-over' coachbuilt demountable. English language site available. • krake-technology.de - The Krake Technology Group specialises in plastics technology and has major industrial partners like Siemens and Airbus but, according to their website, they also make a demountable camper, the 'WOKA', with a hard-sided pop-top which they will supply direct. Sadly the only images of it are five, small CAD drawings - there are no photos, not even of a prototype, but the description of it gives the impression that it is a fully-conceived project. Presumably it is only built to order. • ormocar.de - Ormocar Reisemobil manufacture all sorts of motorcaravans and expedition vehicles including an enormous range of demountable "cabins for pickups". Units can be made to order for any vehicle and can range from 'shell only' to fully equipped and furnished. English language website available. • tischer-pickup.com - German company, Tischer is one of the largest European manufacturers. Their range is extensive and exported throughout Europe although they do not currently have a UK agent. Includes downloadable hi-res images of all models. English language website available. • variocab.de - Variocab's website is a little short of detailed information regarding layout and construction and the pricelists don't apparently exist. That, and the fact that the website is dated 2003, makes me wonder whether this is still a going concern. If you know, perhaps you would contact me? • wagner-kunstsofftechnik.de - Wagner - specialists in glass-fibre (GFK) products - produce a range of demountables for all sizes of pickup bed (S-, D- and K-series), including American long-beds (A-series), as well as the C-series for flatbeds. The site is exclusively in German. • woelcke.de - Woelcke constructs, to order, an enormous range of vehicles ranging from family-oriented motorcaravans to fully-fledged expedition vehicles. Within that range are various demountable possibilities although, in the case of pickups, most involve conversion of the base vehicle to a flat-bed. Click on 'Off-Road-Mobile' to see a few examples. The site's only in German. • formverk.is - A curious link - Icelandic company Formverk are evidently the manufacturer of the very light-weight 'FiS' pop-top camper but, oddly, there is no mention of it on their website although you will find contact details there. You'll get more idea of its appearance and layout, and you can rent one should you wish, here. • arkdesign.it - Arkdesign Camper produces a full range of motorhomes of all types including one demountable model, the 'Sahara'. The website is only available in Italian. • galluccioflli.it - Manufacturer of the Gall-up demountable for two- and four-door pickups. Recently updated site is very fancy but slow to load. English language version is not functioning yet. • modulidea.it - Modulidea, manufacturer of a range of GRP, pop-top demountables suitable for expedition use. English translation available. • mondopickup.it - Manufacturer of the very stylish Musica demountable for the Isuzu pickup, Mondo also import Tischers into Italy. • overcar.it - Overcar make a variety of campers and motorcaravans including a small range of demountables. Click on 'Produzione' and then 'Cellule abitative'. • trendupcamper.com - Trend Up Campers. Click on 'Gamma' to see the range. • vacanzeinfuoristrada.it - Vacanze in Fuoristrada are not really a manufacturer (in fact they are a hirer and can be found on the demountable camper hire page) but they get a listing here because they also offer for sale their 'Picky', a glass-fibre bodied, pop-top demountable. Although it looks similar to some of the models in the Modulidea range (Are they the actual manufacturer I wonder? ), as far as I know the Picky is unique to ViF and is only available from them. • camperbouw.nl - The (partially) English language site of Camperbouw Holland. Manufacturer, to order, of a range of motorhomes including a demountable. Second-hand units are listed, in Dutch, under 'Occasions'. • lelycampers.nl - Lelycampers make a range of motorcaravans to order including demountables. Click on 'Producten' and then 'Afzetunit' to see demountables. • solocampers.nl - The 'Afzetunit' page of Solo's website contains very little information and is only in Dutch but it does, at least, give an idea of what Solo will build to order. • tonkecampers.nl - English language site of the extraordinary Tonke Campers. Unlike any other available demountable, they ooze class and romance. • andrade.com.pt - Autocaravanas Andrade has apparently been in business since 1946 making a wide range of motorcaravans that currently includes two demountables, the 'Polar 360' for twin-cab pickups and the 'Polar 360S' for extended-cab pickups. It's good to have Portugal represented in this list but sadly the website is not particularly informative. • biwakbox.com - Slovenian 'BiwakBox' claims to be a "new category of double-cab pickup camper". It's certainly compact and very light but its "rigid tent" approach inevitably means that it tends towards the austere rather than the luxurious. English language website. • uro-camper.com - Uro-Camper is the demountable camper division of Uro-Cover (a plastics fabrication company producing an enormous range of products for all sorts of industries). Not surprisingly, the camper is in GRP. This new website includes many images and full details but only in Spanish. • camperab.se - Camper AB have come up with a stylishly innovative, GRP-bodied demountable - though they obviously ran out of new ideas when it came to choosing the name! From the photos on the website, it appears to be aimed primarily at extended-cab pickups but, presumably, different configurations are available to order. English language version of the site is available - click the Union Jack in the upper, right-hand corner. • polarvagnen.com - Website of Polar Caravans who manufacture a range of trailer caravans and two demountables - the 'Nanoq' and 'Miki'. The striking resemblance to models in the Easy Camper range (see below) is not coincidental. They are all made by S.Karosser AB. • skarosser.se - Manufacturer of the Easy Camper range of demountables. Exported throughout Europe under Easy Camper, Nordstar and Leisure Camper badges. English language site available. • tollare.info - Although primarily a boat builder Tollare make a number of other products which exploit their expertise in glass-fibre fabrication. This includes the Tollare Camper 383, an all plastic demountable somewhat reminiscent, in construction and layout, of the Island Plastics 'Suntrekker'. • toppola.com - Has to be seen to be believed - manufacturer of a demountable camper for Saab hatchback cars! They also make a version for pickups. • apollo-motorhomes.co.uk - Apollo are the longest-established demountable manufacturer in the UK having produced their first demountable in 1982. • azalai.co.uk - This is a UK branch of the French company (see www.psi-azalai.com in the French listings above). Sadly they do not appear to offer the company's demountable range in the UK but perhaps they might if there are sufficient enquiries! • expedition-campers.co.uk - SBS Enduro Expedition Campers is a new UK-based enterprise in the demountable camper market building for Landrover and Toyota base vehicles primarily, though they do offer a "soft version" (?!) for Ford Ranger and Japanese 4x4 pickups. Units can be ordered from 'shell only', for those wishing to build their own, through to fully-fitted 'Enduro' spec for those looking for an expedition camper. • truckamper.com - Stuart Oates' site describing, in words, his Truckamper and offering to build you one, should you wish. Curiously, there are no images at all on the website so it's difficult to know whether the business is an idea or a reality but there may be a clue in the fact that the site has remained unchanged for a very long time. Какие лучше? Где посмотреть-купить и цена? Что за бампера КДТ? 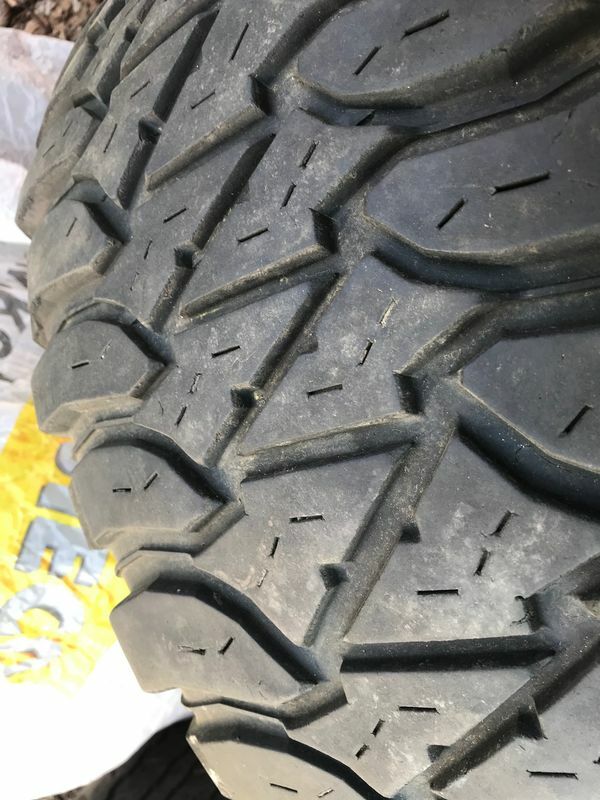 Кто-нибудь ставил road armor, ARB, Fab Fours или Devolro? Какие еще есть изготовители и что лучше?